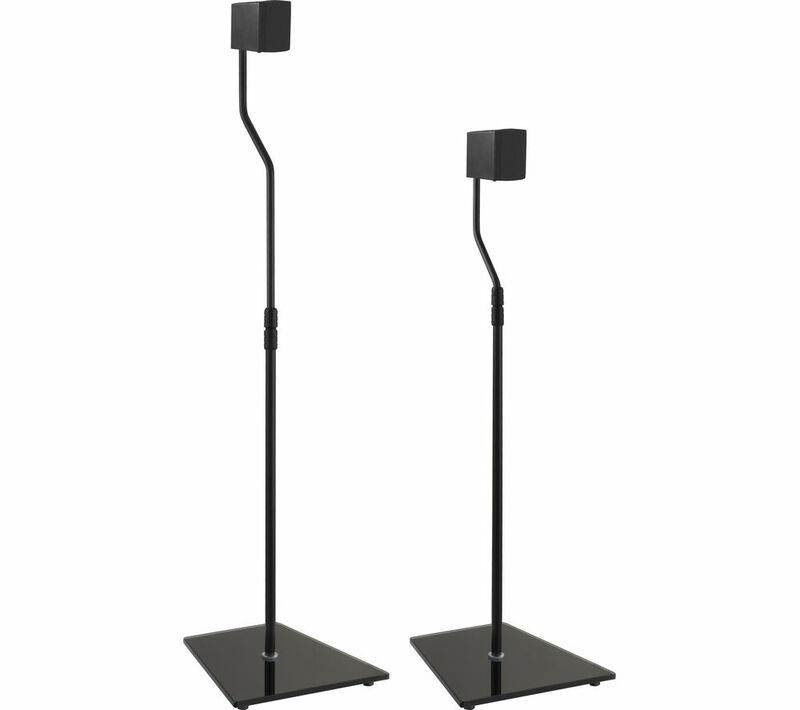 Create more space around your multimedia set up and ensure that you have a complete surround sound system with the AVF EAK85B Floorstand Tilt & Swivel Speaker Brackets. The height adjustable design can be turned in a complete circle so that you can get the perfect angle for your speakers. Able to hold speakers up to 5 kg, the EAK85B is perfect for multi-room speakers and smaller speakers for a contemporary look that isn't intrusive in your space. With weighted glass bases you don't have to worry about accidentally knocking or bumping into your speakers.